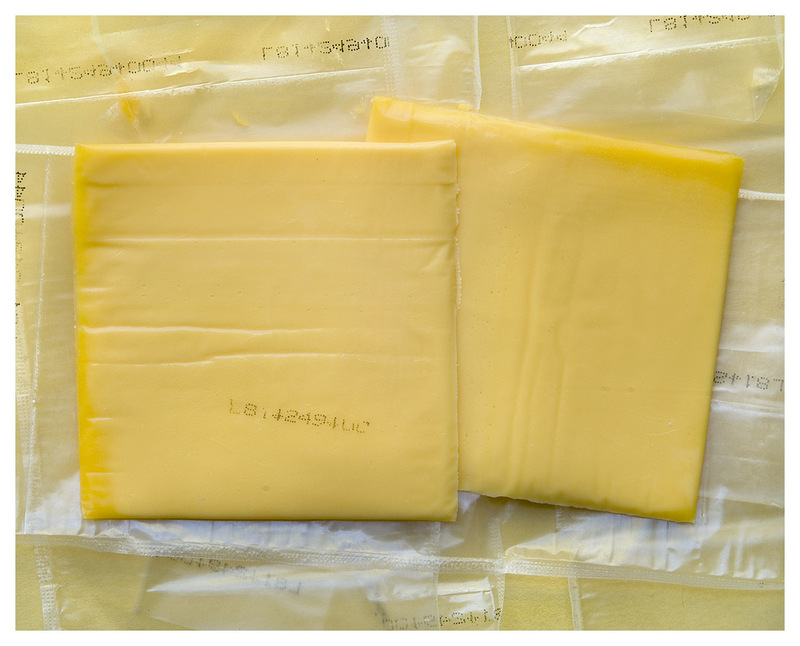 Pasteurized process cheese product has a very low milk solid content, but there is still dairy in the cheese. Imitation, or analog cheese, uses vegetable oils instead of milk solids. The absence of dairy product makes imitation cheese inexpensive to produce, so it's affordable (16 slices for $1), and the shelf life is about six months. The only problem is that it has no actual nutritional value.